J. Robert (Bob) Almey (1895-1989) was one of the last group of pilots to be trained at Camp Mohawk, one of the two Royal Flying Corps establishments near Deseronto in the First World War. 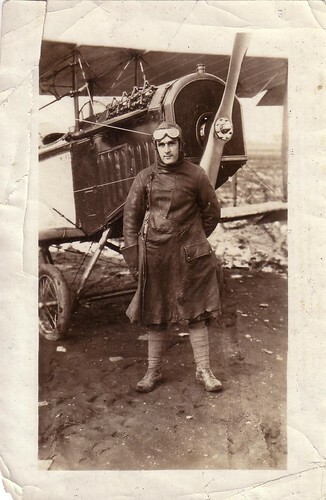 The photo here shows Bob in his Royal Flying Corps uniform. It was brought into the Archives for scanning a few weeks ago by Bob’s grandson, Rob Woodward. The war ended before Bob Almey was posted to Europe, which was fortunate for him, given the short life expectancy of pilots on the front line in those days. Bob returned to his studies at the Ontario Agricultural College (now the University of Guelph) and completed his degree in horticulture. In 1921 he was appointed as Manitoba’s first ever provincial horticulturalist. He went on in 1928 to work for the Canadian Pacific Railway as their Chief Horticulturalist. In this role, Bob was responsible for landscaping the surroundings of 2,000 railway stations across the West of Canada, giving new immigrants and visitors a favourable first impression of the region. By the 1940s, 11,000 packets of seeds were being distributed to stations each year, while CPR greenhouses across the Prairies and British Columbia grew 600,000 plants a year, of up to 125 varieties. Bob Almey knew each station so well that he could “recite from memory their layouts, the variety of flowers they grew and the amounts needed”. He retired in 1960 but continued to be active in the Manitoba horticultural community (being particularly famous for his gladioli) until his death in 1988. 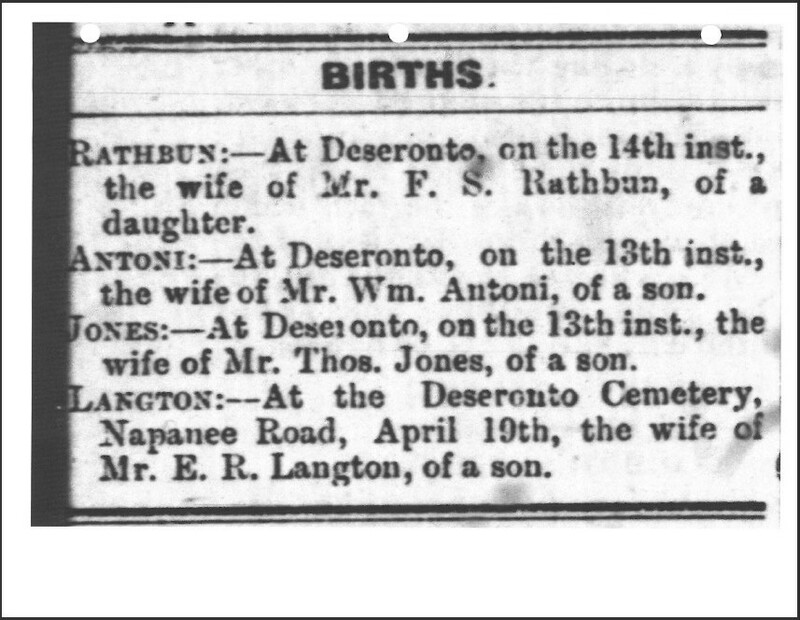 In the early twentieth century the Rathbun Company had numerous industrial interests in the town of Deseronto which developed from the firm’s lumbering business in the late 1800s. Two of the Rathbun’s (perhaps) less well-known ventures were the experimental farm and gardens either side of Boundary Road at the eastern edge of the town. 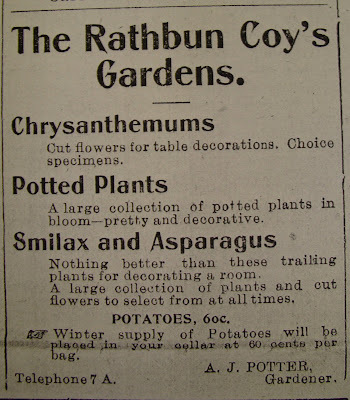 This newspaper advertisement, taken from the edition of The Tribune published on this day in 1903, shows some of the range of plants available for purchase from the Company’s gardener (the aptly named Mr Potter).